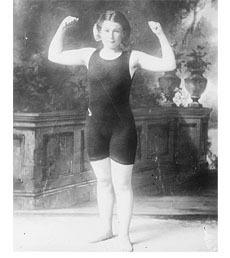 Rose Pitonof, a 17 year old endurance swimmer from Dorchester, MA, swam from East 26th Street, Manhattan, to Steeplechase Pier, Coney Island – a distance of 17 miles – on August 13th, 1911. The details of Rose’s 1911 swim are outlined in this article from the NYTimes. The Daily News printed this article prior to the 2011 Centennial Celebration. 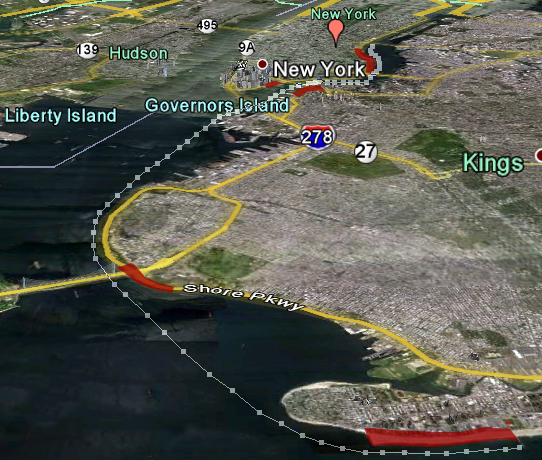 Swimmers start at East 26th Street and the East River (Skyport Marina/Stuyvesant Cove) and swim to Steeplechase Pier, Coney Island, with an estimated swim time of 5-6 hours. Optimal spectator locations are highlighted in red on the map below. where do we mail the entry fees/deposit? To my brother Jason Malick! Wish you the best in your lite swim. Enjoy the water, and the worlds best hot dog at the end!